Nature gives us a harmonious landscape, full of beautiful details that, just stopping a few seconds to observe it, fill you with a feeling of well-being. 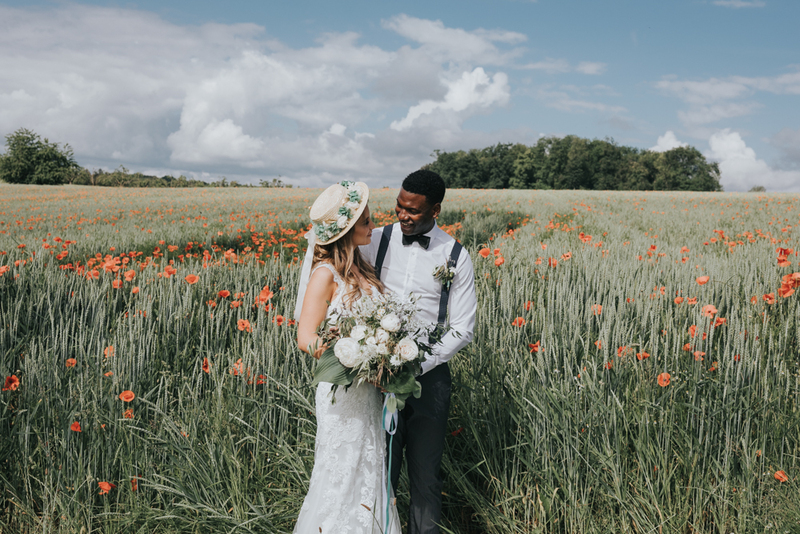 Beauty is simplicity, and that is how this couple celebrates their love, pure love, in a location full of purity, landscapes that speak for themselves, naturalness... nothing else is needed. I'm obsessed with this location! Large green fields, with a touch of color from the poppies and the peace in which animals live. It is easy to fall in love with this wonderful place. 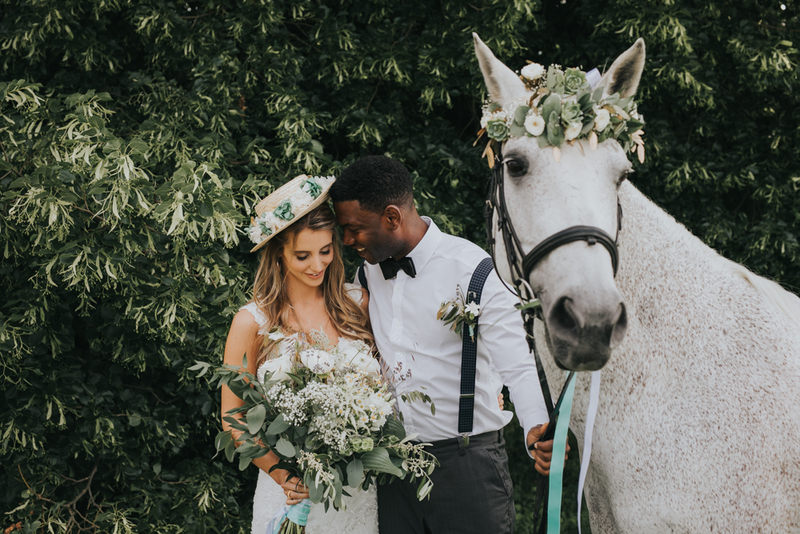 Out in the nature and what a great idea to include your best friend on the wedding, the best of all having your horse to be part of it too! 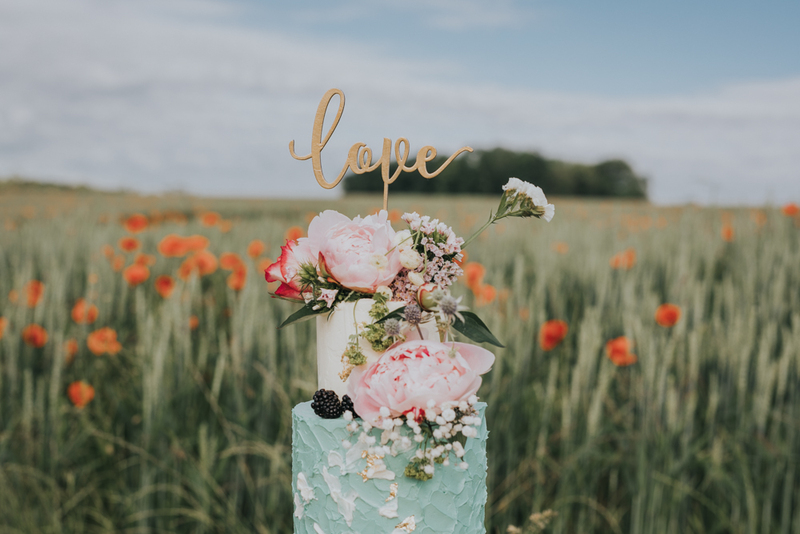 The signs were designed in pine wood, hand painted with acrylics and for the Mr and Mrs sign we added white silk ribbon. 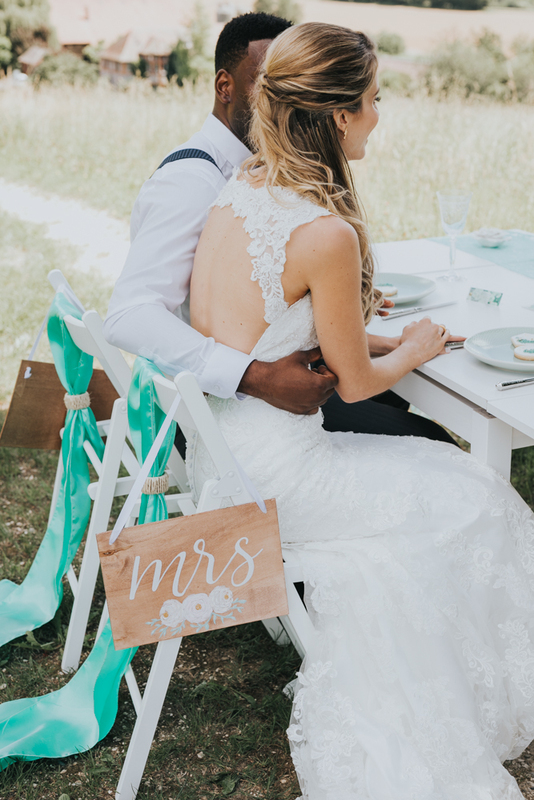 We would love to make a custom sign for your upcoming wedding. Contact us here. Taking long romantic walks on horseback under the rays of the sun and dancing happily next to the leafy trees.